Earn 320 loyalty points when you order this item. The Linn T-Cable Tonearm cable is developed to significantly enhance performance across the entire turntable range and gives you a remarkable opportunity to hear the difference a relatively simple and affordable update can bring to your deck. Most of the improvement in the performance is a result of the new 5-pin connector which offers a sturdier connection to the tonearm. Housed in a sleek aluminium casing, the connector fits into the base of the tonearm pillar for a flawless finish. 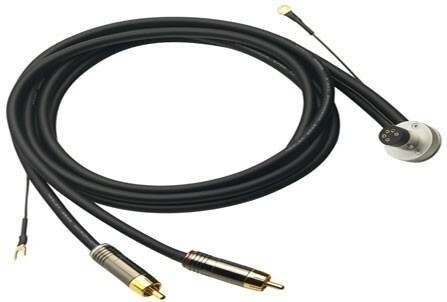 On top of this, many advances have been implemented on the tonearm cable further improving performance at each level. 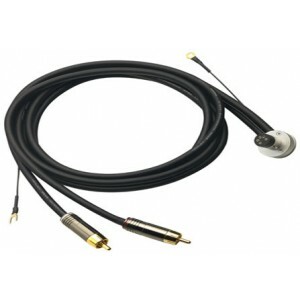 Using the renowned Linn T-Kable model, the cable has been entirely revived with the Linn connector along with a more flexible shielded microphone cable that works to reduce noise from the turntable. The Linn T-cable is supplied with Linn’s reference tonearm Ekos SE and is also available to buy as an upgrade for use with other tonearms (XLR and RCA versions available).